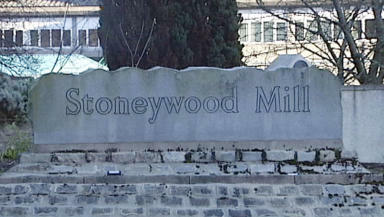 The proposed deal would see Stoneywood Paper Mill sold as a going concern with 482 staff retained. A preferred bidder has been selected for a threatened paper mill in Aberdeen. Joint administrators said the proposed deal would see Stoneywood Paper Mill sold as a going concern, with all 482 staff retained. Their jobs came under threat in January when a takeover fell through. A spokesman for administrators FRP Advisory said: "The joint administrators have selected a preferred bidder for ArjoWiggins Fine Papers Limited operations at Stoneywood in Aberdeen and in Basingstoke, and ArjoWiggins Chartham Limited in Chartham, Kent. It is hoped the deal will be completed by the middle of April. Local SNP councillor and site representative Gill Al-Samarai said: "This news will come as a relief for both the workers, and the local community. "Since the announcement earlier this year, politicians from all sides have worked together constructively with management and Scottish Government officials. "Without a robust and unified approach the positive outcome that appears to have been achieved would not have been possible."